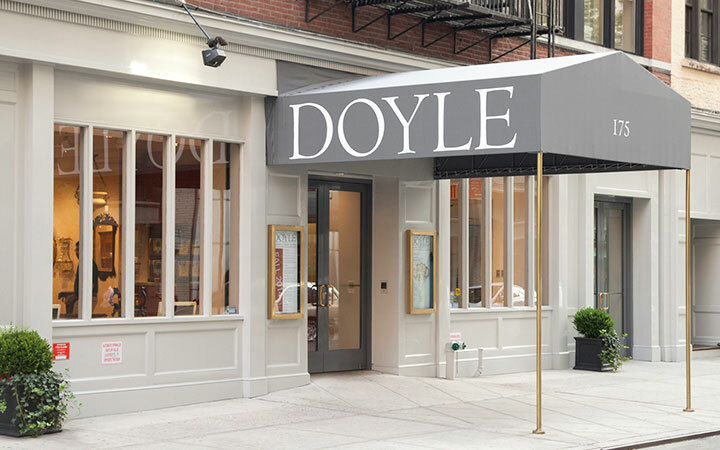 Established in 1962, Doyle is headquartered on Manhattan's upper east side near Museum Mile and many of the city's cultural institutions. Our administrative offices are open Monday through Friday from 8am until 6pm. For appointments to discuss the possible sale at auction of your property, please call us at 212-427-2730 or visit the 'Selling at Doyle' section of this web site. Please check the 'Current Auctions' section of the web site for exhibition hours during the week and on weekends. We invite you to visit us for our many exhibitions, auctions and special events taking place throughout the year.